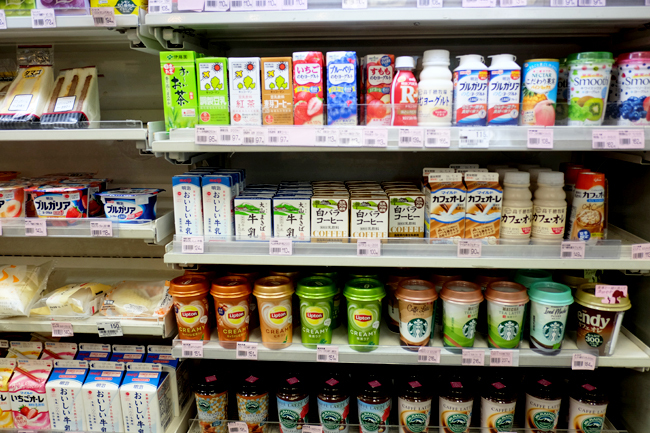 So how much do you need for food and drinks per day while traveling across Japan? Here's a detailed breakdown from high to low. Like I said in my previous post about transportation, I believe we all travel differently so instead of telling you how much you should prepare, I opted to write about how much things cost so you can decide for yourself how much YEN to bring. 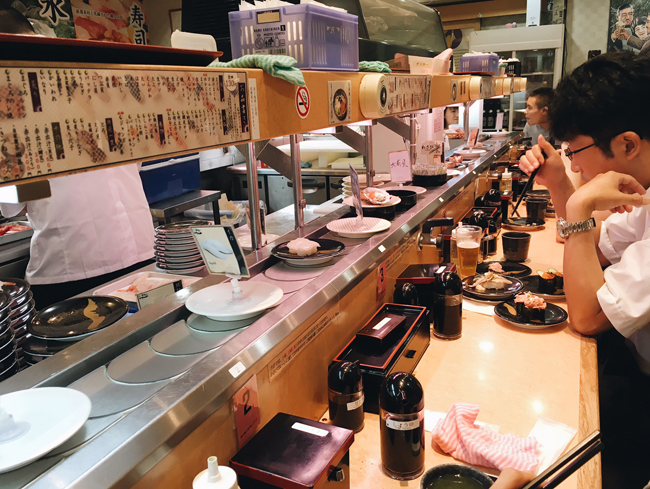 So here we go..find out how much I spent on food and drinks as I traveled from Osaka - Kyoto - Yokohama and Tokyo! More after the jump! Ps. If you don't feel like reading, scroll all the way to the bottom. Let's begin with Vending Machines. Most vending machines carry water, sparkling water, soda, cold tea and juice OR beer OR cigarettes. 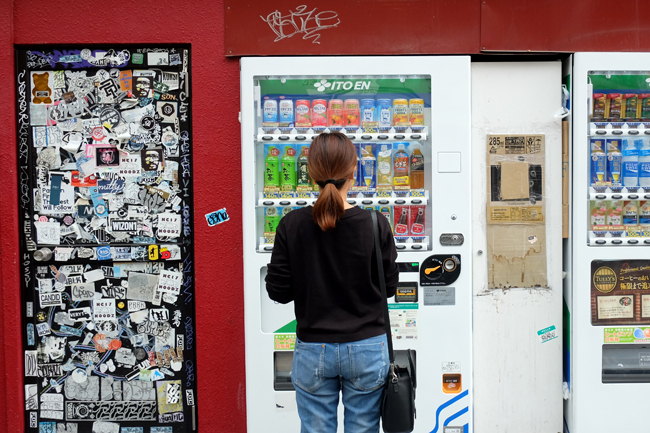 Prices between convenience stores like Family Mart and Lawson are almost identical to vending machines give or take a few yen. 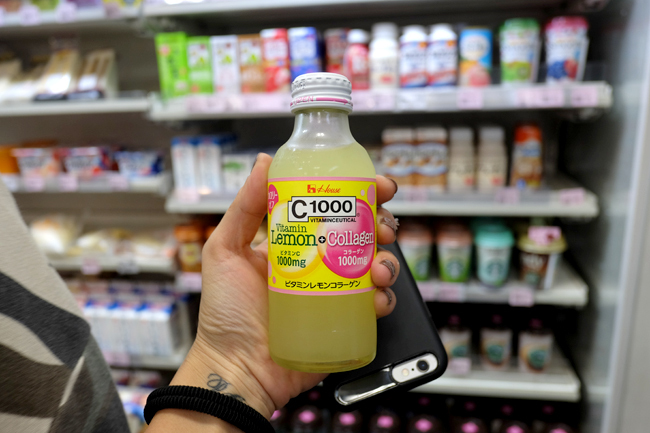 TIP: Take a bottle of C1000 (around YEN 130 = Php 60) to prevent flu. I swear on this, I take it all the time when I travel especially during familiarization trips when I hardly get any sleep and days are packed with activities. 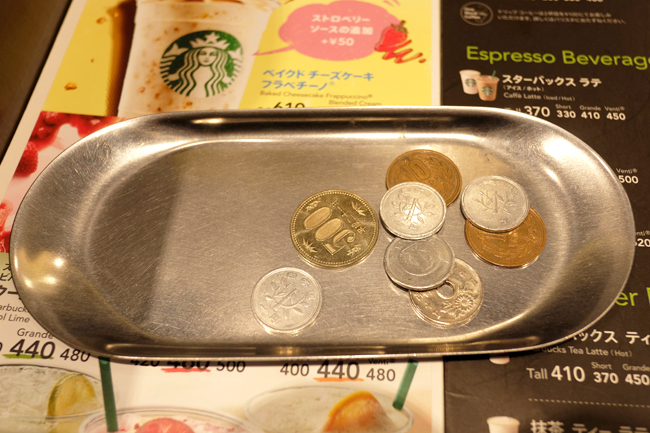 A little thing I found awesome in convenience stores were heated racks for hot drinks. I'm so used to just seeing refrigerated racks so I found this quite genius! 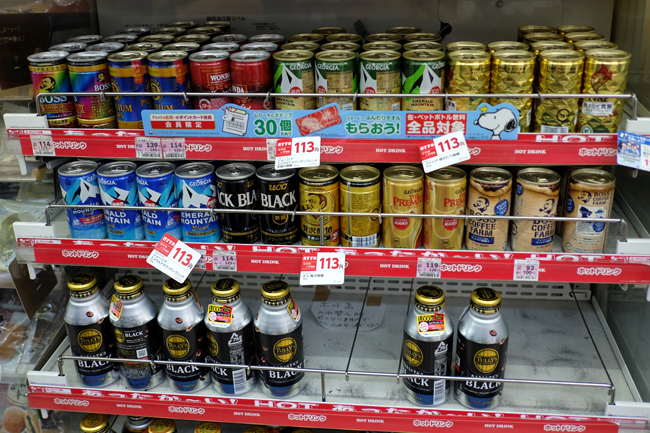 Canned convenience store coffee is around YEN 113 about the same price for Brewed Coffee (go with the brewed). Perfect for breakfast on the go. 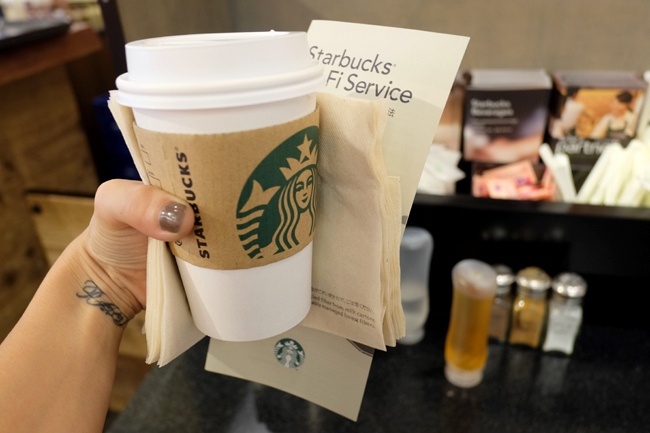 I don't really like having coffee in Starbucks when I'm abroad cause there's nothing exotic about it but in Japan, they always have the best locations! 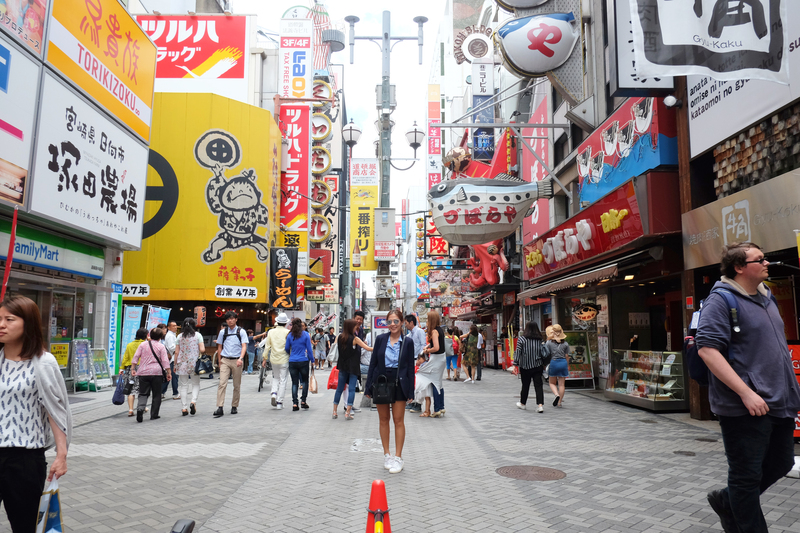 Example: the one in Dotonbori is right in the center of all the action + its huge with library-like interiors and a really nice toilet, the one in Tsutaya, Shibuya is the perfect place to get a nice shot/timelapse of the crossing for free. So anyway, how much? A bit more expensive than Manila. 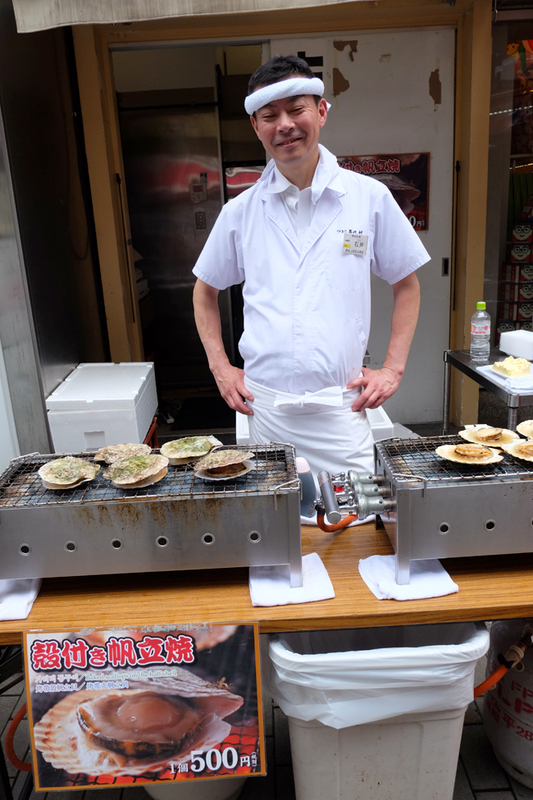 Street food in Japan is nothing like ours. You'll find lots of fresh and delicately prepared goodies at every turn. Prices are a bit more expensive than ours but it's totally justified by the quality and freshness of the product. They don't skimp on ingredients. 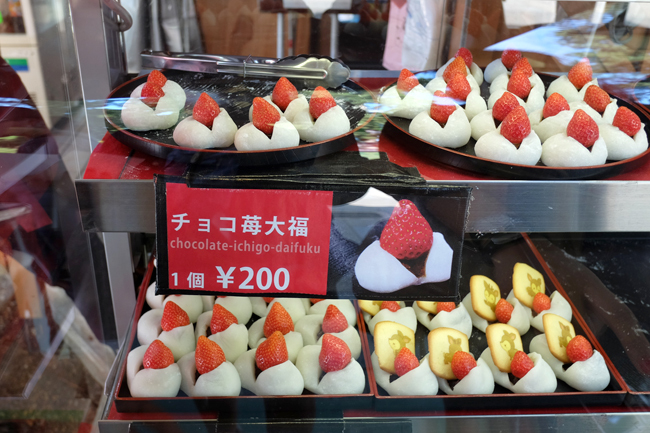 The most expensive one I came across are these baked scallops that go for 500 YEN a piece = Php 235. But really wherelse can you find baked scallops on the street. These are big and super fresh too! Street Takoyaki also has large pieces of octopus inside and only cost about YEN 250 which make them a delicious and filling on the go snack. 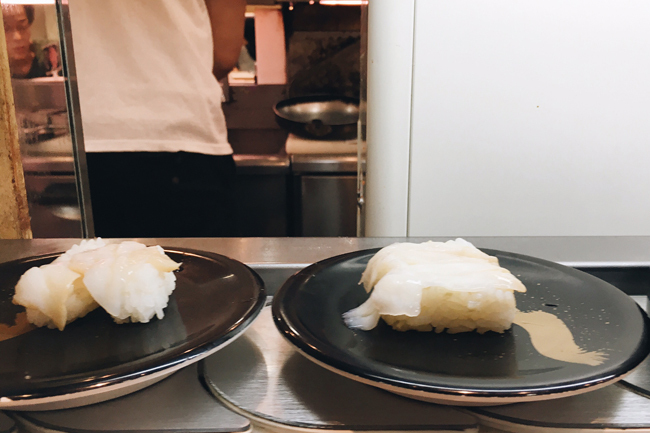 They don't call it Japan's Kitchen for nothing. 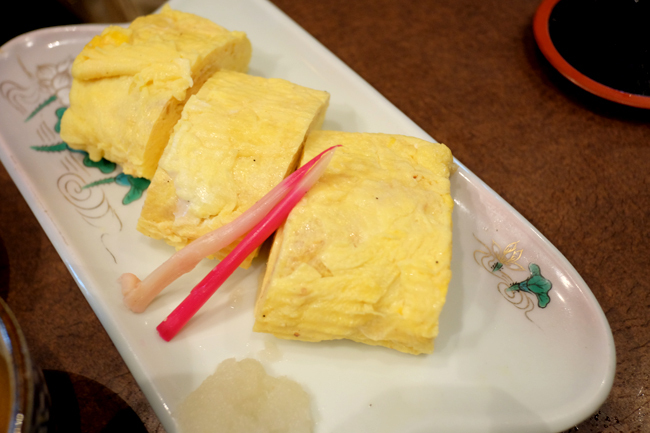 Everything I ate in Osaka was delicious. 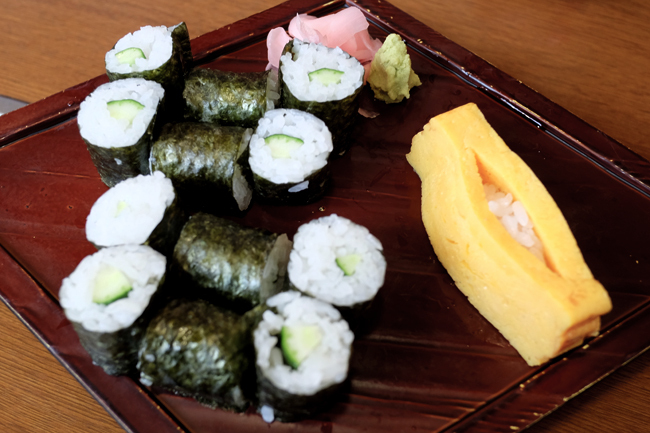 From popular restaurants to nondescript hole in the wall sushi restaurants. 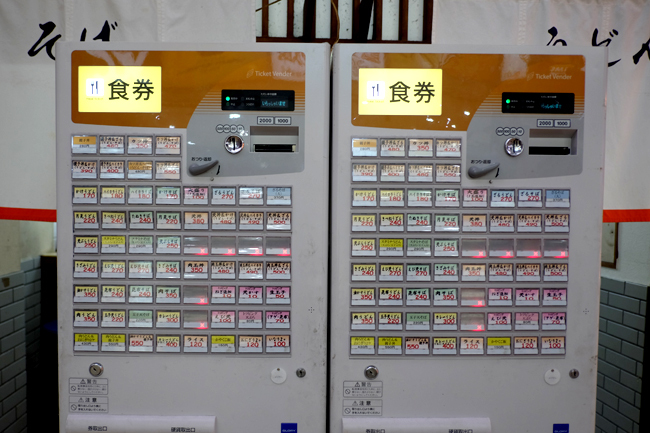 Price per meal in the Dotonbori area ranges anywhere from YEN 300 upwards and you usually order from vending machines like these that are located outside the restaurant. 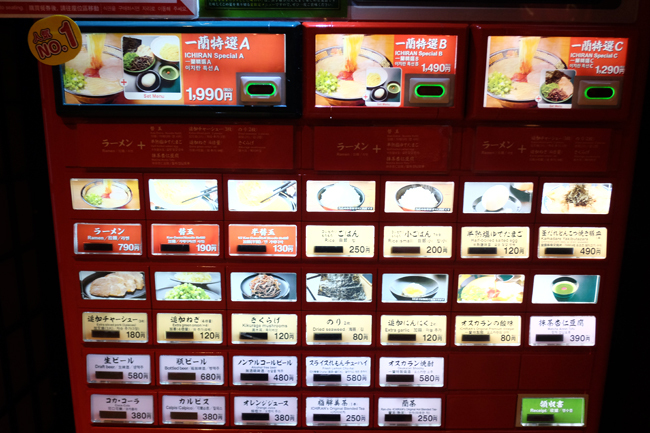 Restaurants with "Japanese-Only" menus are usually cheaper but they come with staff that don't understand English as well so ordering could be a problem. But brave foodies can turn it into a double dare game and choose blindly. If I didn't have too many dietary restrictions, I would've gladly done this. Pretty sure everything's yummy. I don't know if it's just the places we frequented but one of the things I found lovely about Japan is that most restos you come across serve Japanese. Like 80%! They truly patronize their own. Even boutiques are like 80% local Japanese brands. Imagine if we took as much pride in our own products and culture? 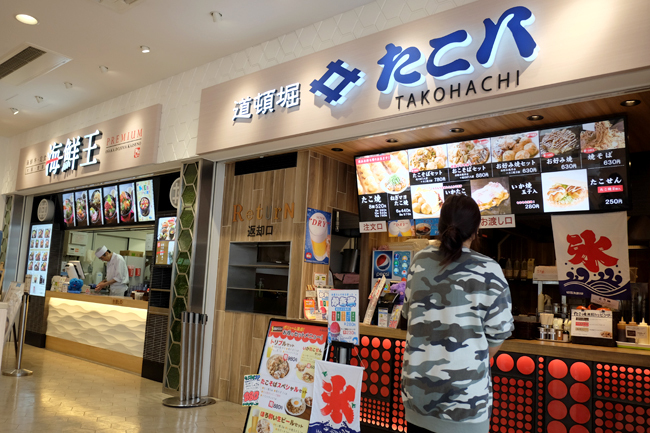 Even food courts serve mostly Japanese...and food quality is just as good as restaurant food. We had lunch at this mall across Osaka Castle. 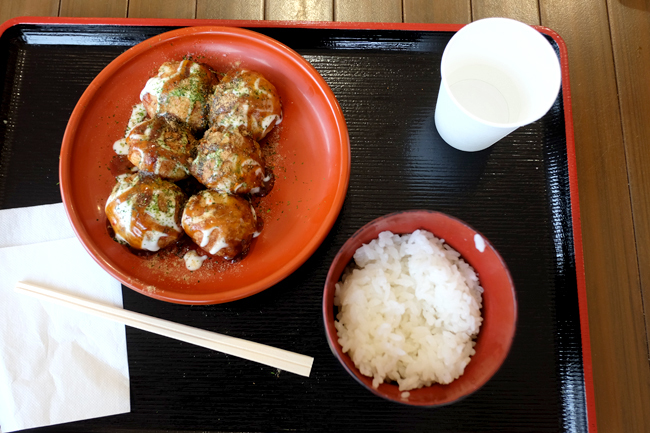 I felt like having some Takoyaki with rice. Takoyaki usually comes with noodles here so I just opted for a side order + extra rice. 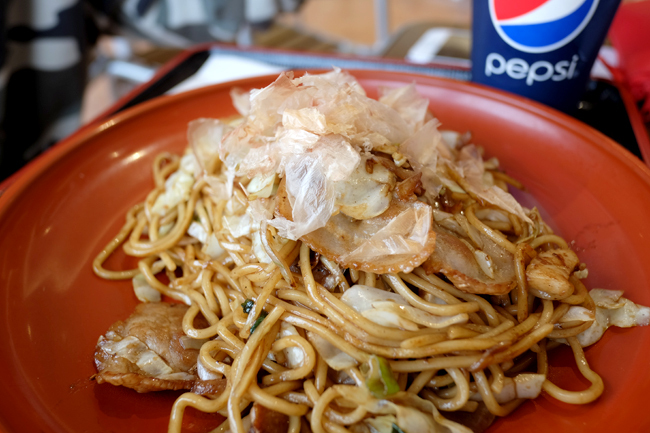 Ana had their Yakisoba which cost roughly the same I think. This is the center of it all. Every gourmand's dream come true. A live action Nintendo cooking video game where shop fronts come alive with giant neon lit representations of the food they serve. Kobe beef? Expect a large statue of a cow on top of a signage. Chashu? Expect a pig. Fugu = three tiers of enormous puffer fish replicas. Crab? A large red crab that moves across the storefront. And so on. It's a delight to simply stand still and absorb all the sights and smells. Especially at night when everything's lit up. It's unlike anywhere else on Earth. I only spent 2 days in Osaka...which I think is a sin especially for someone like me who lives to eat. 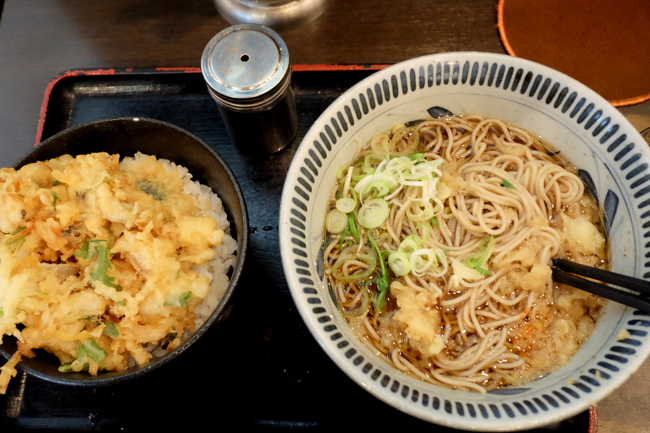 (Ask my friends I order and eat like a man (hehe) Which is why I've already booked my return in a couple of months (woohoo) There's certainly so much more to eat and see here! 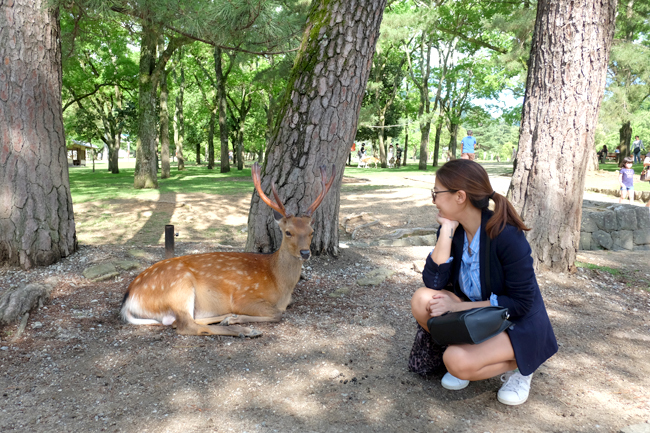 You need at least 5 days especially if you plan to visit a theme park or go on side trips to Nara/Kobe/Hiroshima. 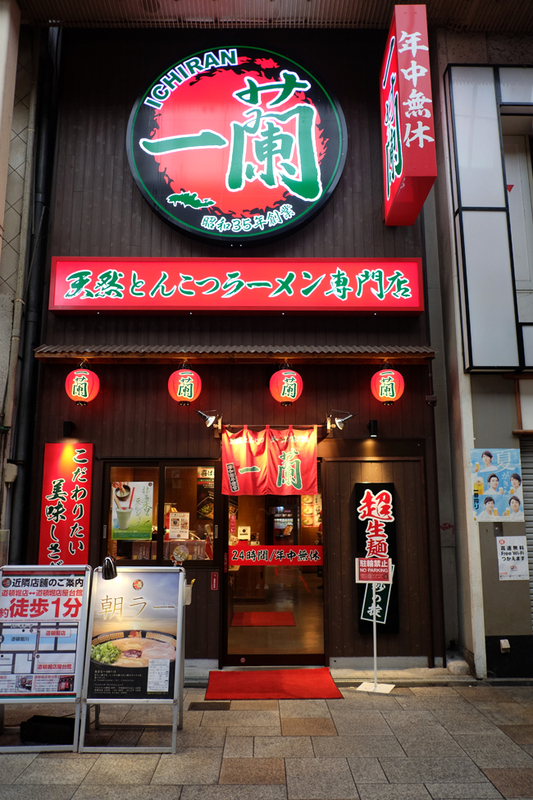 Dotonbori is home to the original Ichiran Ramen! 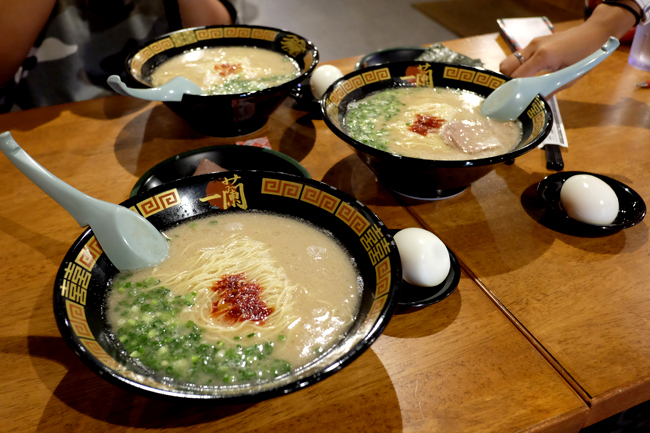 My favorite ramen! I always order the Ramen with no pork (cause I'm not allowed to eat pork and beef because of health reasons, how sad) YEN 790 = Php 370 + extra order of mushrooms (yen 120) , seaweed (yen 80) and egg (yen 120) (total Php 150). Superrrr good. Writing about it is already making me crave. The broth is lighter and more delicate than the ones you find here. I don't want to spoil the experience for you so let me just say that it's a must-try when in Japan (they have branches all over). You can tell from its sightly worn interiors that its been around for quite some time. 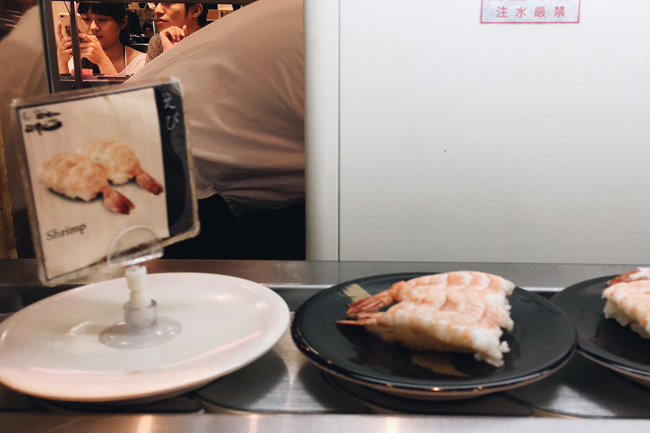 The entire restaurant is made up of one large sushi bar and there's often a line to get in (although luckily when we popped in we were able to sit right away since Japanese people eat fast and run). 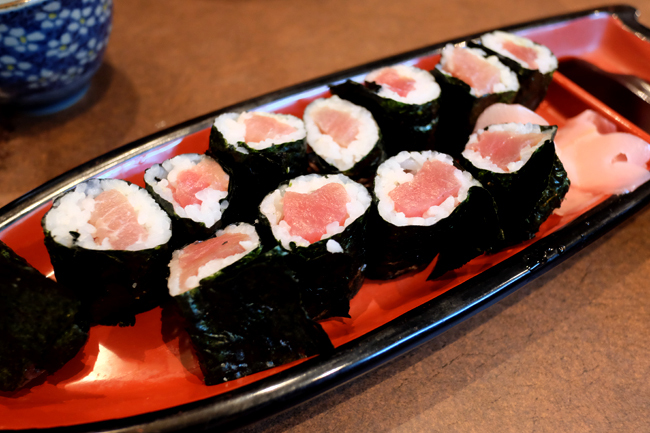 Same price wether you order tuna, tamago, salmon or hamachi! One of the best sushi places I've ever been in. The fish is super fresh. It's creamy and just melts in your mouth. TIP: Try the fatty tuna sashimi! 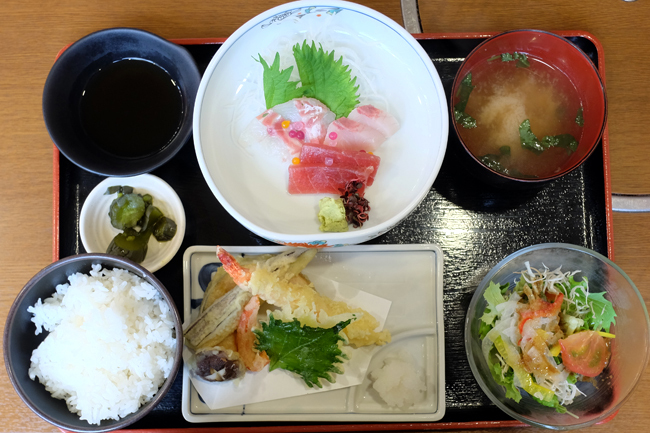 Our last meal in Osaka was at a random Japanese restaurant that served everything because we couldn't decide what to eat. This is what I had and this is how I usually order as you'll see in the pics below. More more more. Of all the meals I had in Osaka, this was the worst but still good. But not as good as the others I tried. I knew in my heart we could've done better but oh well, there's lots of time to make up for it and I always believe that no experience is bad. There're just better ones and always lessons to be learned. And that usually includes miso soup, salad, sashimi, rice, pickles and a main. Gahhh!!! These are super delicious. Exterior is like fresh mochi, soft, chewy and slightly sweet, filled with creamy belgian chocolate and topped with a fresh strawberry. MUST TRY! 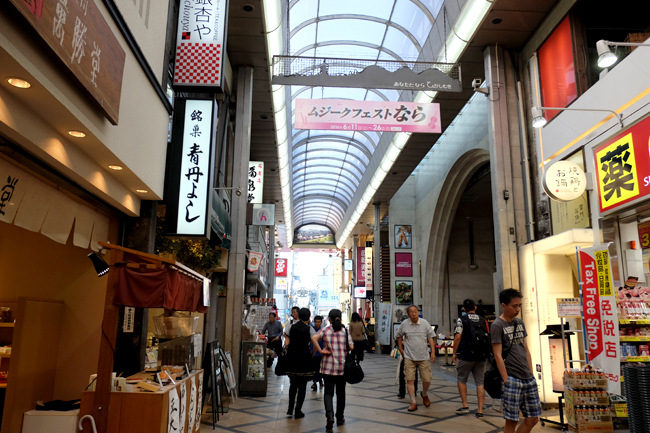 A covered street lined with restaurants and retail shops. 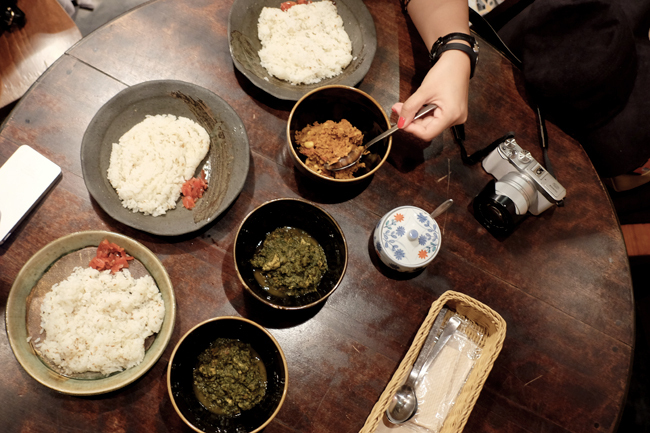 We popped into a small random restaurant that serves what I think seemed like home-cooked Japanese food. The server was an old woman who was surprisingly really sharp and efficient. Also very sweet. TIP: If you want to save, don't eat in close proximity to popular tourist spots. Food is always slightly more expensive. It was raining cats and dogs throughout our entire stay in Kyoto but probably the worst downpour we experienced was the day we decided to visit Kiyomizu. It was raining really hard and we had no choice but to seek refuge for awhile and let it subside. Chicken, Vegetable (and I think the other one was beef?!) It's weird, I've been to Singapore, Malaysia, etc but this seriously is one of the best curries I've ever tried. Cheap too! Only YEN 600 = Php 280 for a big bowl of curry plus yummy brown rice. If you like curry, this place is a must try. If you chance upon it while full, do also pop in for a cup of coffee or some beer. The place is too delightful to pass up. Homemade desserts looked delicious too. TIP: Traveling alone? Pop in and make a friend. Place is littered with backpackers and friendly solo travelers of different nationalities all with interesting stories to tell. I forget if that's the real name and I wouldn't suggest you look for this place on your own unless you have someone reliable to show you proper directions. Arashiyama is huge so you might get lost. We just luckily stumbled upon this place again during a heavy downpour. 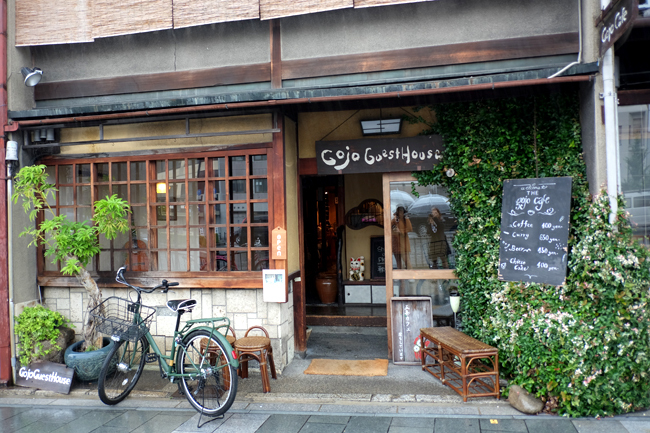 And it's also weird because I tasted one of the best pizzas of my life in old Kyoto. The cheese they use on their pizza is so deliciously creamy it tastes almost like milk. Contrasted with a light and salty crust + tang of homemade marinara sauce, it's damn irresistible. 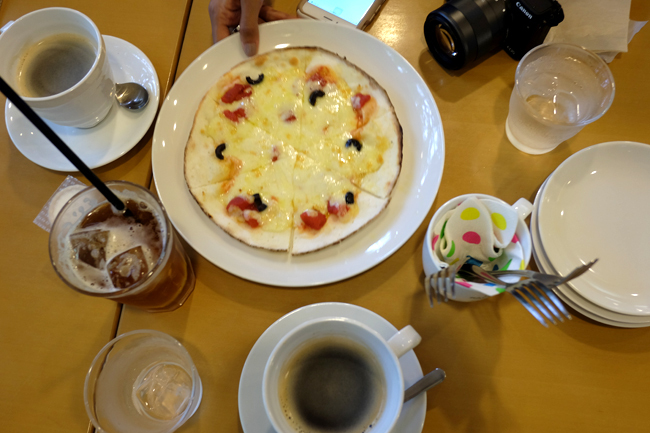 We were full when we entered the cafe so we only ordered 1 pizza to share at first. Ended up ordering another one. It's that yummy. Gion is lovely. 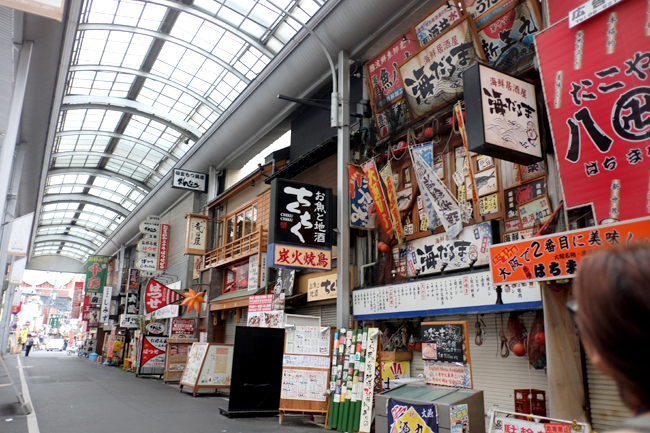 It gives you a glimpse of what old neighborhoods in Japan might have been like centuries ago. Let your imagination run wild. Allow yourself to stand still in one corner and just absorb everything in. 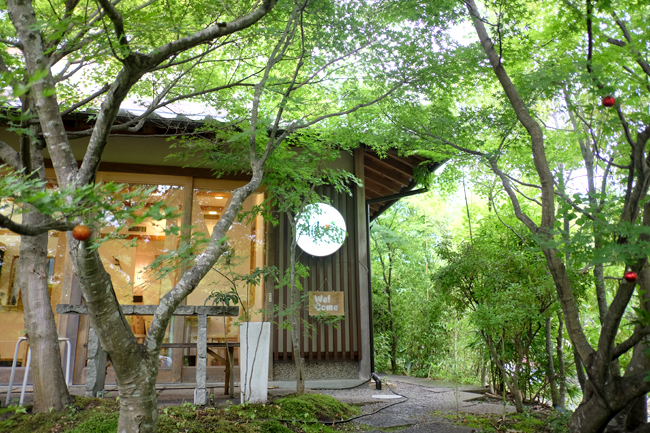 TIP: Visit in the evening (around 6pm) to spot some GEISHAS and MAIKOS on their way to work. But please, don't approach, touch, confront or papparazi them since this is seen as rude in Japan. 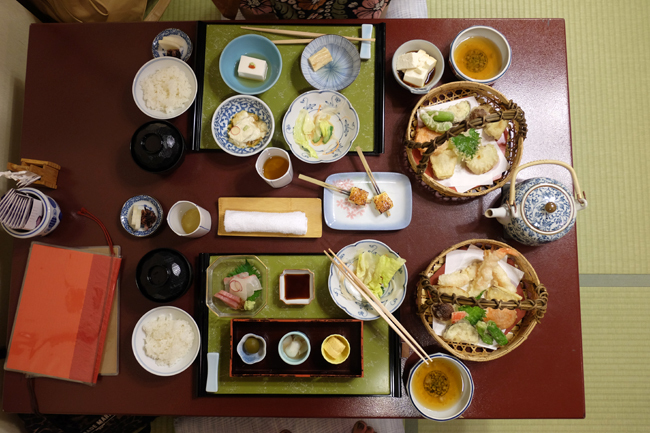 I really wanted to have a private tea ceremony with my own geisha but it was quite pricey so we had a Kaiseki dinner instead! Which was quite cheap as compared to having it here. The food and the experience was well worth it. Here's a part of our meal, yes, more came afterwards all in small delicate bowls. 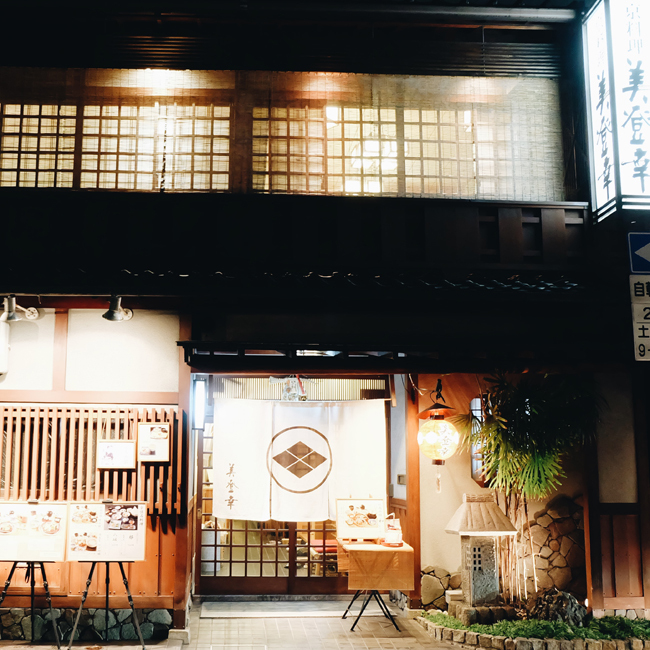 We had our dinner at Gion Mitoko but there are lots of other places to choose from in the area, We just chose this particular restaurant because of their Vegetarian meal (for Ana), I was happy eating anywhere as long as it was Kaiseki. We were sat in a private tatami room where our hostess, a middle-aged woman in a kimono served us with so much grace and ceremony I was thinking that maybe she could be an ex-maiko. 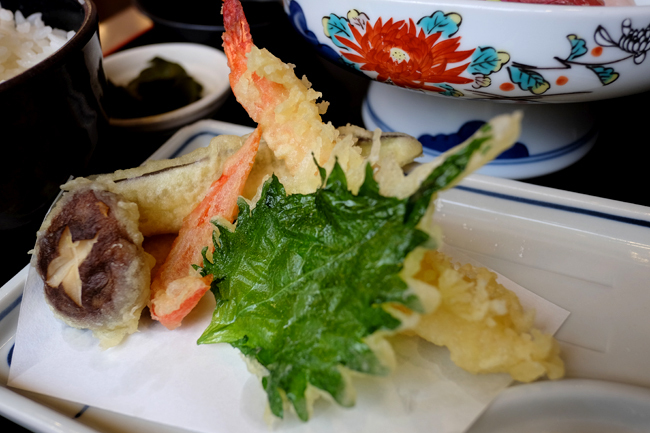 TIP: When in Japan, have some tempura. It's everywhere and it's nothing like what they serve here. Theirs is lighter and not oily at all. Sauce is also different. 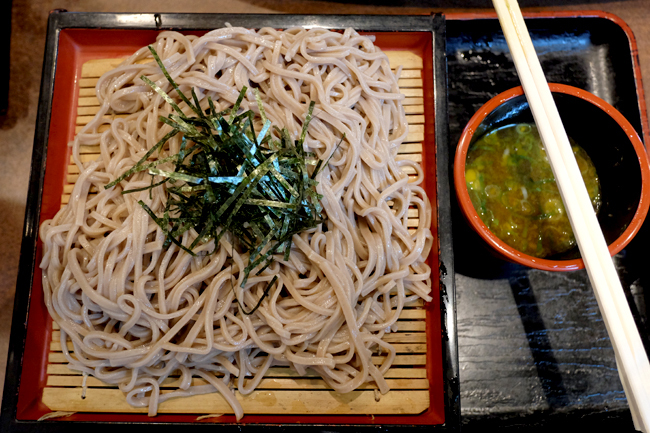 Sometimes served only with salt sometimes with a tempura sauce that's not as sweet but with more of a rice wine flavor. Hella good. Sorry but I don't have much to share right now for the Shinjuku area. We were only there for awhile to have dinner and catch a show at ROBOT RESTAURANT. TIP: Robot Restaurant isn't much of a resto but more a cabaret. Have dinner somewhere else first. 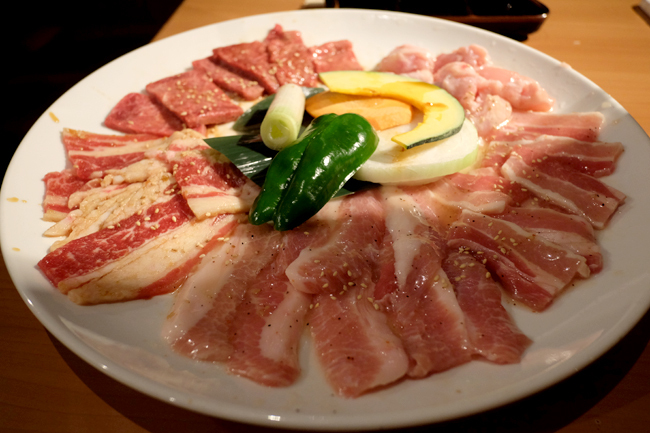 We were brought to a Yakiniku place a few blocks away from Robot (5-10 minute walk) by a friend of ours who's been a local of Tokyo for about a decade already and this resto is one of the places they frequent. 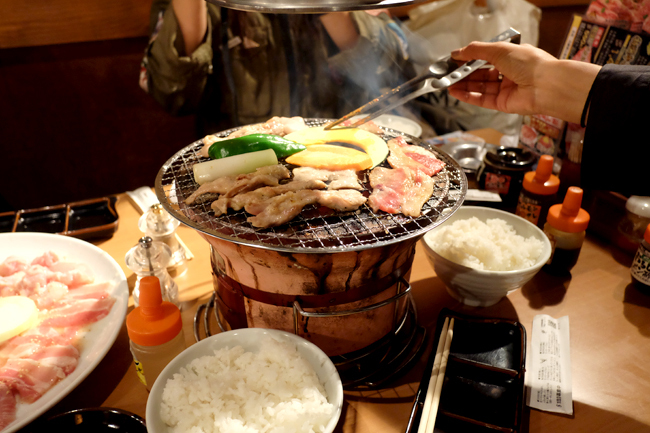 It was filled with local businessmen enjoying beers over barbecued meat after office. Rice comes in 3 sizes (small, medium, large) I got the medium which was generous and just right for me. TIP: order the salad and kimchi if you find this place! 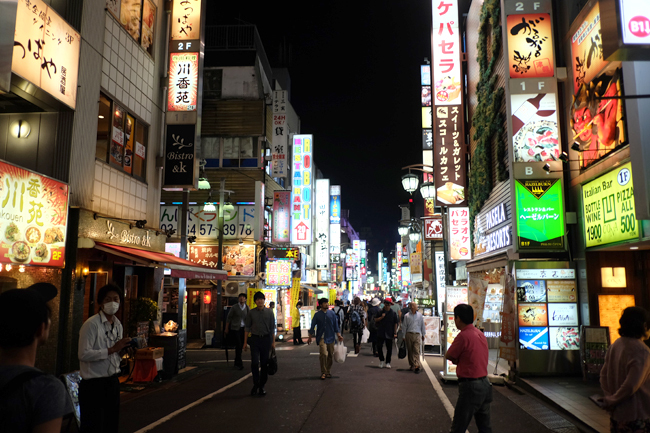 There was one night in Tokyo where we decided to separate and explore the city on our own. It was raining, I was cold and feeling extra brave. 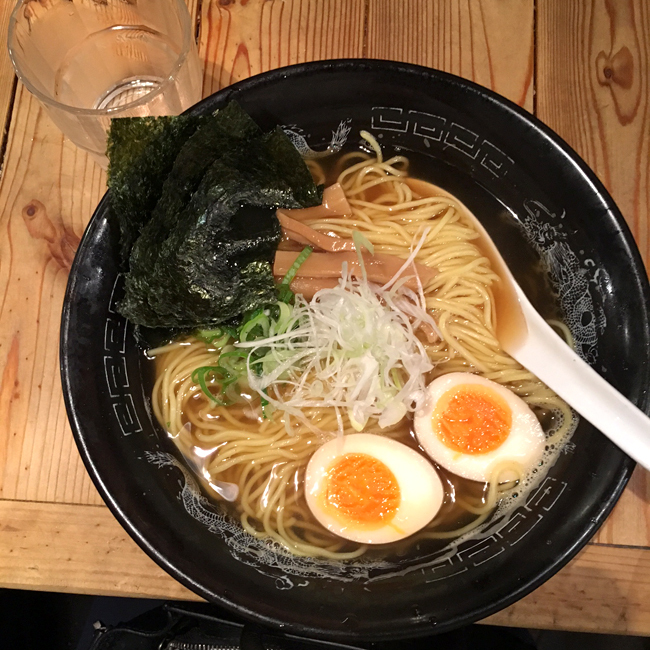 I decided to pop into an old-looking Japanese speaking only Ramen Bar establishment somewhere in the backroads of Shibuya. Boy it paid off. I had a delicious ramen made with fish broth (I know, but it wasn't too fishy at all). The place had old whisky posters on display. 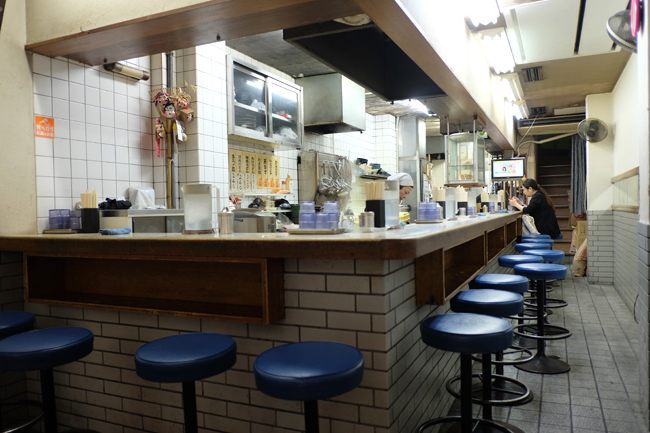 It was probably one of the dirtiest restaurants I dined in while in Japan (meaning still acceptably spotless, they are such a clean and neat race). This big bowl only cost me YEN 540 = Php 250 and it already had eggs, seaweed and bamboo shoots at no extra charge. TIP: Pays to be brave. Sorry I can't share the name of the establishment because well, it was in Japanese but there's a lot of these around. Also, I did have to order via a vending machine outside. TIP: Don't get flustered. Subway restaurants are often crowded with lines and Japanese only menus Locals and servers are always in a hurry so it might be difficult and confusing to order. When in doubt, pick up a sushi roll to go instead. This totally took me by surprise but apparently, the Japanese are big on pancakes. 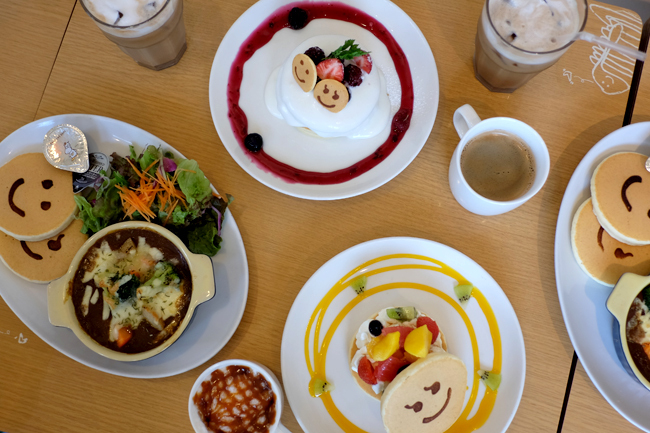 You'll find many cafes (especially in Tokyo) that specialize in Pancakes! And yes, they are delicious! 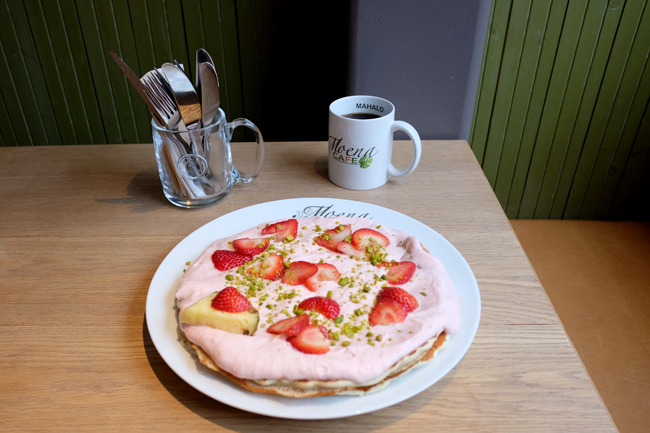 In Harajuku, we popped into Moena Cafe for an afternoon snack, ordered some Strawberry Pancakes and Coffee, found it expensive at YEN 900 or 1200 = Php 420/560 (I forgot exactly how much) but when it arrived it was huge. Enough for 4 people to share. I liked this better. 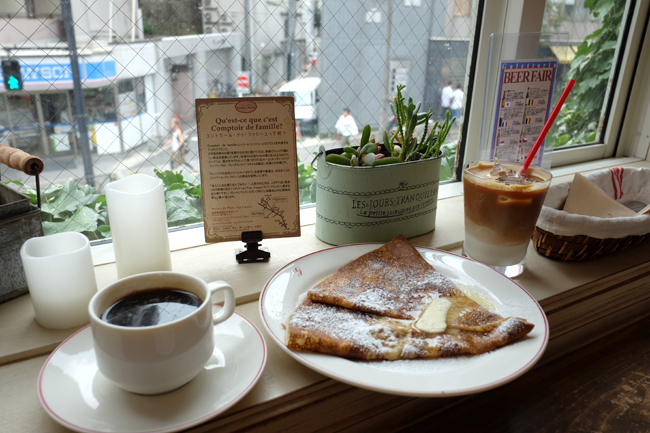 Crepes at Galettoria near our place in Shibuya. It's yum! Must try if you're in the area but you might have to wait in line to get a table. TIP: Lawson's free and super fast wifi across the street reaches inside this resto. Better than Moena. Super yum. Got the berry pancakes for about YEN 600 = Php 280. It's covered in whipped cream and topped with berries. Sooo good! Pax had a platter: pancakes + salad + beef stew which I found a bit weird but she said it was good. Must try next time! 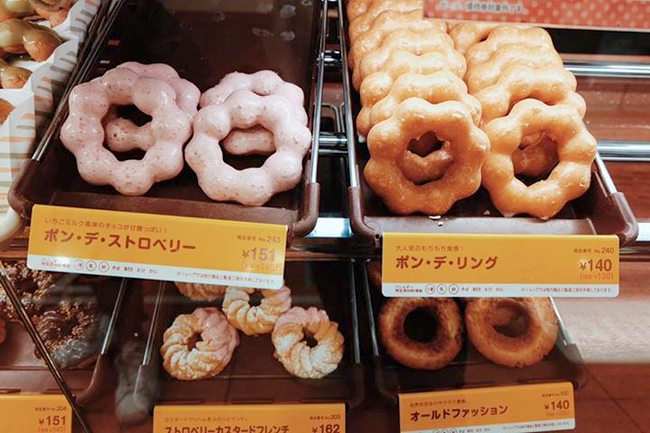 And lastly, if you happen upon a Mister Donut, do yourself a favor and pop in for some Pon De Rings. I like the plain variety. The dough is chewy and to die for. So more or less an average person would need about Php 1800/day on food and drinks. So to be safe, a good allowance to set for yourself/day in Japan to cover food + transportation and a bit of shopping would be around Php 3000. Allow yourself Php 5000 per day and you're all set. Conclusion: Japan is now cheaper to visit than Hong Kong.